WestEnd’s Workspace enterprise software suite to automate and manage key processes related to Funko’s product design, factory management, and master product data. , manage Product Master records and improve coordination with factories. With WestEnd™ Workspace, Funko is able to visualize all key workflows, coordinate cross-department collaboration, and accelerate product design and manufacturing efforts for its products and licenses. 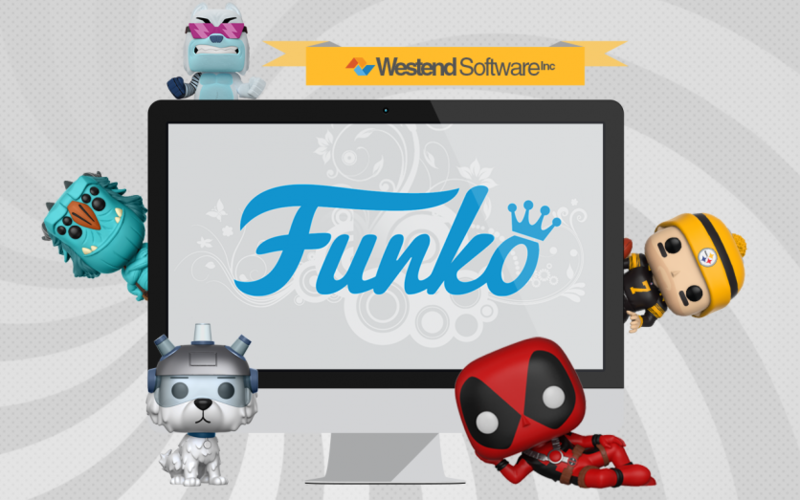 By leveraging the WestEnd™ Workspace solution, Funko has established a single environment where all product development activity takes place through dynamic workflows that manage user tasks and assignments for every step of the development cycle. “Orchestration and tracking of the product development process is essential to achieve quality for our collectors and speed for our retailers. WestEnd Workspace provides a greater level of integrity, visibility and efficiency,” commented Sarathy Annamraju, CIO of Funko. The Workspace solution provides Funko with all detailed product data and product images from all stages of development. In addition, Funko’s users can access Workspace to run detailed reports and create key documents including case markings, technical specs, sales one sheets and product catalogs. Key benefits that Funko is taking advantage of with Workspace include reduced time to market, visualized status of all processes, a single repository for critical program data, and significantly improved control mechanisms. WestEnd™ Software Inc. is an innovative developer of enterprise software solutions having designed and delivered many leading applications to the Licensing and Entertainment industries. The WestEnd™ Workspace solution offers a comprehensive, end-to-end suite of software tools that enable licensees, agencies and licensors to better manage all aspects of their licensing program. Core features of WestEnd Workspace include contract management, royalty and financial administration, product development and approval, and digital asset management. The Workspace suite of software elevates this functionality by also supporting manufacturing compliance, on-demand business intelligence and reporting, and integrated workflows for contract renewals and amendments. Workspace can be accessed via any device, through any browser or a dynamic mobile app. Simply, Workspace is the most secure, fullfeatured option for all sectors in the licensing industry. For more information and to contact us directly, visit www.westendsoftware.com.